« SFDR: India’s AWACS killer? According to information provided by BAE Systems, India will get the first batch of five M777 ultralight howitzers in September 2018 after a preliminary investigation found faulty local ammunition supplied by India’s State-sector companies behind the explosion of the barrel of the US-manufactured M-777 during a field trial in Pokhran last year, in short, giving clean sheet to the Gun manufacture . 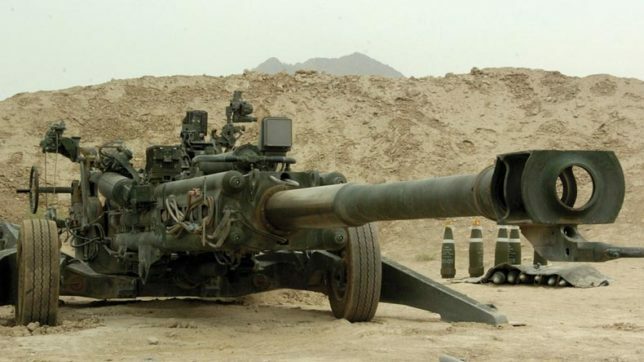 Last May, Indian Army got Two new long-range ultra-light (ULH) howitzer M777 for local ammunition homogenization process but after the explosion of the barrel, M777 gun had undergone mandatory quality tests but after an investigation, it was cleared. Indian Army will receive Five new guns for training purposes but full-fledged deliveries will only commence from June 2019 onwards with Five Guns per month till complete consignment is received by mid of 2021. BAE Systems also has confirmed that India has been offered new Very long range variant of the Gun dubbed as M777ER (Extended Range) which are been developed for U.S. Army. M777 howitzer supplied to Indian Army has an effective range of 23.97Km firing regular artillery shells and 29.9Km firing rocket-assisted shells. M777ER under development will have a maximum firing range of 70 kilometers (assisted) but will see incremental changes to the whole Gun system to achieve this Range. BAE Systems is upgrading M777 from 39-calibre to 55 cal barrel yet there will be a gain of only 453 Kgs of weight. Careful attention to weight changes have been worked out by BAE Systems in collaboration with US Army and experiments are on to keep howitzer’s center of gravity unchanged so that Gun doesn’t Tip over, due to weight changes. US Army which is monitoring the program closely and will be getting first Six Prototypes of M777ER from 2020 onwards for Internal testing and trial purposes if the results are encouraging US Army Plans to order new M777ER Guns and will also carry out upgrades to its M777 arsenal.